I got the Smoked Salmon Omelet. 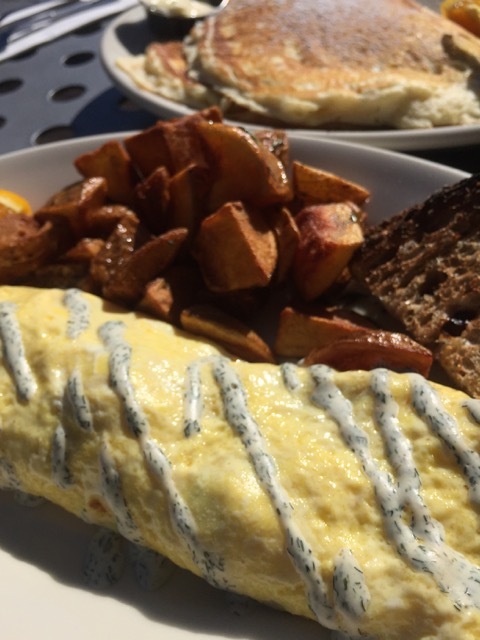 The dill cream cheese sauce and capers sent this omelet over the top. It was fantastic. Potatoes were great too. My husband got the season pancakes, which were the Blueberry Pancakes. I don’t normally eat pancakes, but I could not stop eating these. Easily some of the best pancakes I have had. 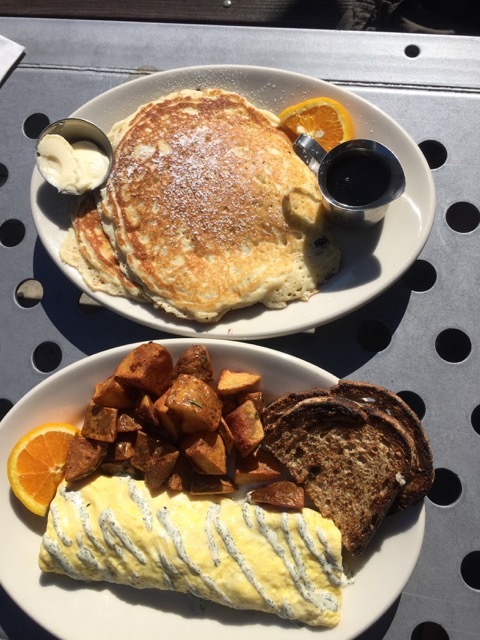 I will also go on to say that not long after our visit my husband too our son out for his birthday breakfast (it’s a tradition) and they brought back pancakes. Even cold, I powered through the leftovers. That should tell you something about these pancakes. Atmosphere is really cool with the whole Industrial theme, even the bathroom, check it out. Great outdoor seating too. Pricing was $10-$13 for entrees. Drinks were a plenty here with all kinds of morning drinks like Mimosas, plus the basics like tea and Kobos coffee. Not to miss item would be the pancakes. 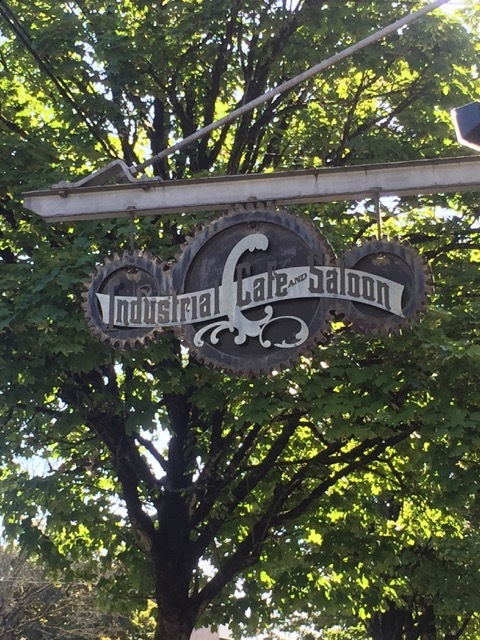 Industrial Cafe and Saloon is located in NW Portland.